I Utilize An Eclectic Therapeutic Approach To Counselling That Is Unique To Each Client. I Find That This Approach Is Very Beneficial To Life Challenges That Can Fluctuate From Day To Day. I provide Counselling and Psychotherapy to Teens, Adults, and Couples within a supportive and relaxed atmosphere. As a Depression and Relationship Specialist, I will support you through Depression or low mood and help you to improve your Relationship(s), Self Esteem, and Confidence. Additionally, we will locate the situational stressors that may be causing you related stress or anxiety that often accompanies depression and low mood. These stressors might include relationship strain, separation or divorce, grief, or a life transition such as marriage, a move or new job, pregnancy, or shifting into or completing university. I view each client as unique, and we work together to find the best options and solutions for you. Sessions are supportive and nonjudgmental, and you may even have a laugh as I find--at times--a sense of humour compliments the therapeutic process. Clients consistently state that I am "very easy to talk to," and rarely 'drop out'. I am now offering Interpersonal Psychotherapy (IPT), which is a short term evidence based model for the treatment of clients with depression or low mood due to the stressors mentioned above. IPT is recommended by the Canadian and American Psychiatric and Psychological Associations as the gold standard of treatment equal in its effectiveness to CBT. I work in affiliation with a highly experienced Psychologist who also happens to be the Director of the Institute for Interpersonal Therapy. This affiliation offers the opportunity to use extended Psychologist Coverage. I strive to work in a compassionate, effective, and ethical manner and your happiness is a top priority. You can choose to work in a Solution Focused short term approach, or a longer term approach. Both approaches are supportive, and offer the opportunity for insight, positve change, and personal growth. Alexandra holds a Master of Clinical Social Work degree with a concentration in Clinical Casework from Yeshiva University in New York City. She is also a graduate of the University of Toronto having earned an Honours Bachelor of Science degree as a Psychology Specialist. Most recently, Alexandra has Certified as an Interpersonal Psychotherapist and and has additional certificates in Cognitive Behavioural Therapy (CBT). Alexandra has worked as Preferred Provider Counsellor for Employee Assistance Programs (EAP) serving clients from major corporations and businesses throughout the GTA. Alexandra’s professional profile includes counselling victims of motor vehicle accidents at HealthWithCare, a multi discipline health care clinic in Markham. She has worked as an intern counsellor at both Family Services York Region and Jewish Family and Child Services. She has also volunteered as a crisis counsellor at the Women’s Support Network of York Region. 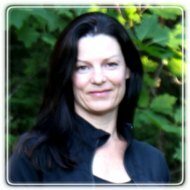 Alexandra is a passionate and caring therapist who is currently working in private practice providing counselling and psychotherapy to individuals, couples, and families with offices in both Stouffville and Port Perry. Alexandra is a Registered Social Worker (RSW), and she is a member in good standing with the Ontario College of Social Workers and Social Service Workers (OCSWSSW). In addition, Alexandra is a member of the Ontario Association of Social Workers (OASW). Alexandra is committed to ongoing professional development and training, and she regularly attends professional workshops to remain up to date in both current counselling techniques and community support resources.